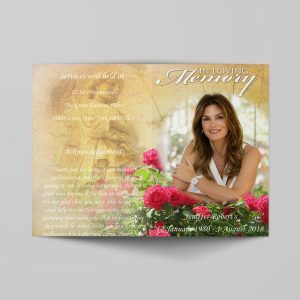 You can easily produce and complete beautiful memorial service programs for a loved one. 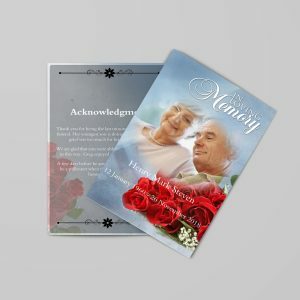 There is a huge variety in choices for the program designs and styles. 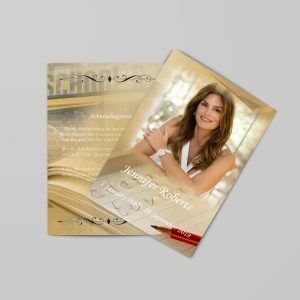 Look for programs that are high in quality and provide a full color, rear and inside page design. 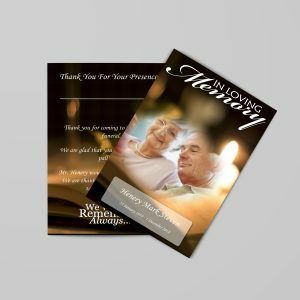 These are the best complete presentation choices and can be found available in 8 1/2 x 11 letter sizing, single fold format, legal size and tabloid paper. 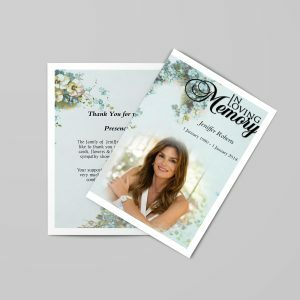 You can choose memorial service program templates to help speed up the process of creating programs, if you wish. Then you are able to as many pages as you need to. You can also print them on demand from your own computer printer. Make sure you look around and compare websites and see which one best fits your needs. There are many resources on the web so depending on what your looking for, will determine your costs and setup. 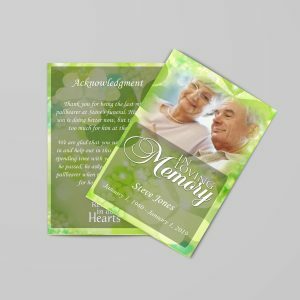 Memorial service programs can contain the order of service, songs, obituary for the deceased, photos of their life over the years. 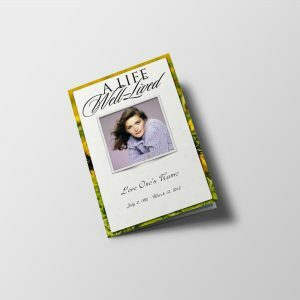 You can even have a collage created inside the program in which you can display all your photos that highlight the life of the deceased. You can make the program as elaborate or as simple as you want. You can find a template with a design that is simple (black and white and you print it on colored paper), or a full color landscape design. So choose what would best fit the personality of your loved one.